Here’s something that should make you smile. We know that PRS competitors love their support bags. At a PRS matches you’ll see all sizes and shapes of bags — rear sandbags, front bags, barricade bags, even bags you wear on your arms. And now the bag has evolved to the Nth Degree — the Numero Uno bag. 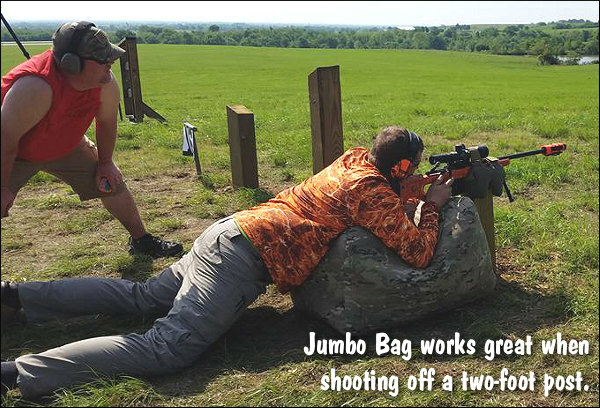 This jumbo bag may seem like a joke, but it does offer some advantages. At the 1:05 time mark the shooter uses the Uno for low position support. It works! 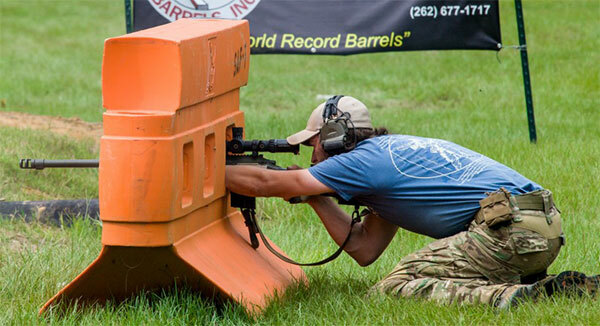 This thing was big enough to support the shooter in seated position, three feet off the ground. We’re not sure about the filling but we suspect the Numero Uno is filled with lightweight packing materials or the material used inside sleeping bags. Between stages, the Numero Uno also serves as a comfy back rest. 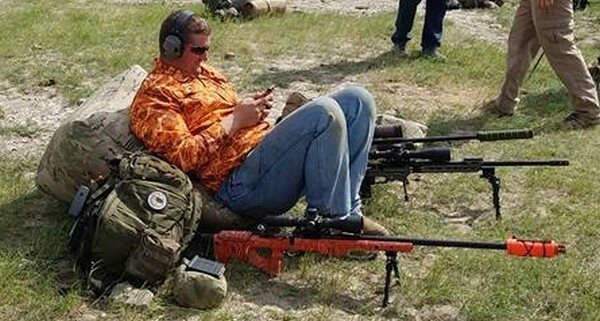 Note the color-coordinated orange camo shooting jacket, orange rifle stock, and orange suppressor cover. Who says PRS guys can’t be fashionable too? “What’s next… the tactical couch?” — Jacob P.
“This is when they need to put rules on the amount of bags you can use. It’s to the point where it’s getting out of control, and PRS shooting is becoming a joke.” — Bryan L.
“This is getting out of control. Need to start restricting to one bag, one tripod. 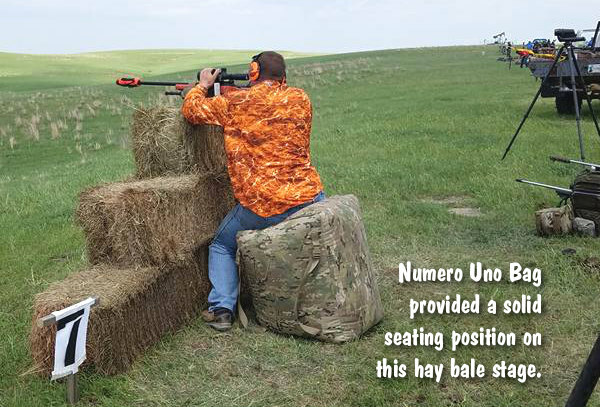 See where skill comes in and not so many crutches.” — Bryce H.
Share the post "PRS Tactical Bean Bag Chair — The Numero Uno Bag"
The GAP Grind is one of the nation’s premier tactical matches. 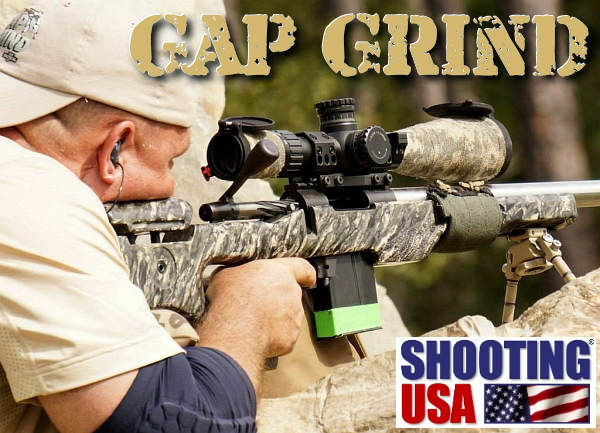 The 20-minute YouTube video embedded below features highlights of the 2013 GAP Grind, hosted this fall at the K&M Precision Rifle Training facility near Crestview, Florida. 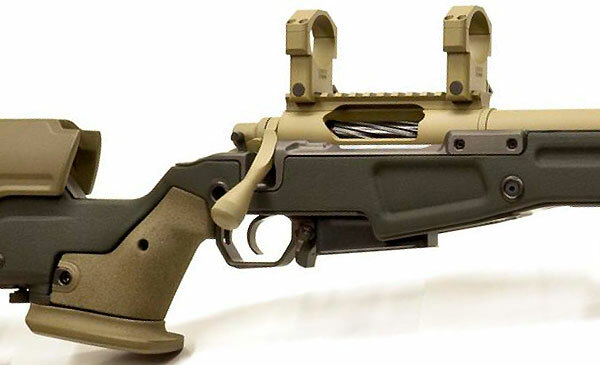 It’s interesting to see the many types of rifle systems used at this match — Tubeguns, Aluminum Chassis rifles, AI models, and customs built on fiberglass stocks. 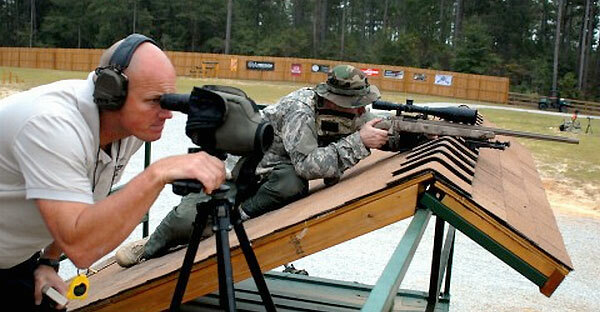 These are all used in a dizzying variety of shooting positions and scenarios. 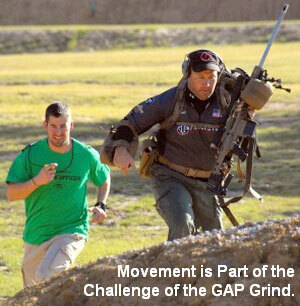 Ninety (90) competitors fired over 15,000 rounds during this year’s GAP Grind. The video employs multiple camera angles, giving you an “insider’s view” of the match. 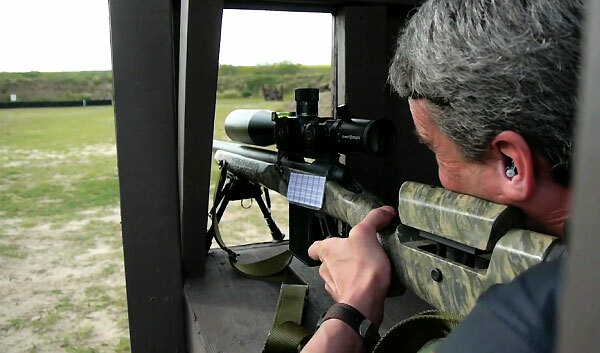 Starting at 16:30 you’ll see an interesting sequence — the Bartlein Steel Safari, with multiple steel targets engaged at progressively longer distances. Watch carefully and you’ll see bullet trace and the “splash” of impact. (This sequence is also previewed at the 2:30 time-mark — watch the trace). The GAP Grind has been described as “a high tempo match with minimal ‘down-time’ between stages”. 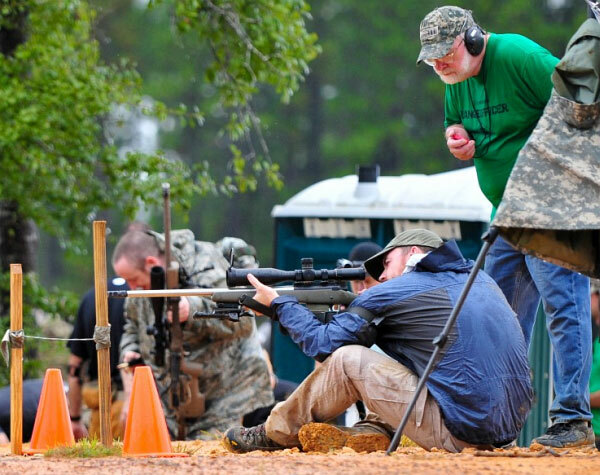 Competitors use rifle and pistol in a variety of scenarios, with pistol stages from 5 to 40 yards, and rifle engagements out to 1000 yards. Targets — an assortment of steel, reactive, paper, and automated moving targets — vary in difficulty based on the shooters’ position, distance, and time allotted. Most stages involve time limits, or required movement, or other “stressors” that heighten the difficulty (and get the heart pumping). 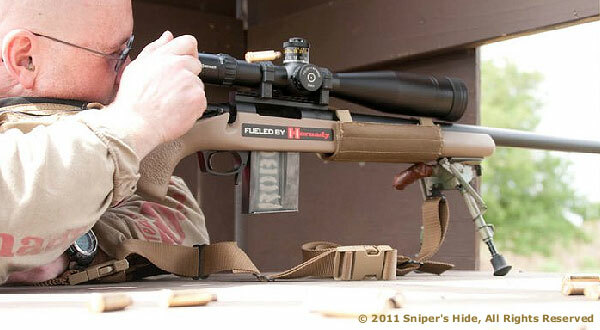 Scoring employs Precision Rifle Series (PRS) guidelines in order to reward the most consistent shooters. 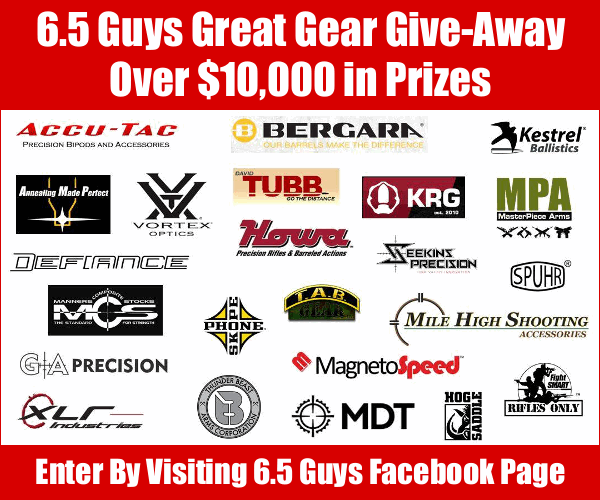 Share the post "Tactical Action at 2013 GAP Grind — 20-Minute Video"
The “Top Guns” of the tactical shooting world will be heading to the PRS Finale this upcoming weekend. 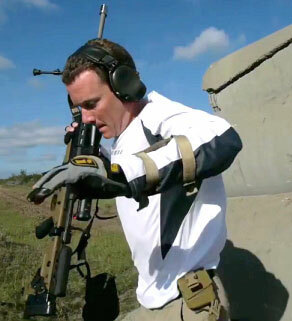 This event, the culmination of the 2013 Precision Rifle Series, runs December 6-8, 2013 at the K&M Precision Rifle Training facility in Florida. 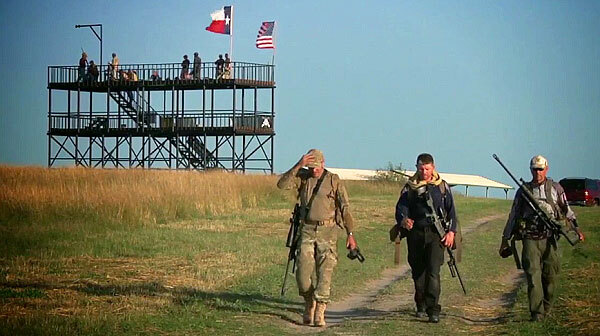 The PRS Finale is a unique championship-style match for the nation’s best tactical shooters, competing with bolt-guns in four divisions: Pro, Semi-pro, Military, and Law Enforcement. 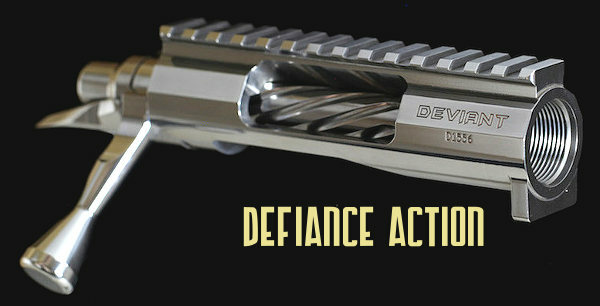 To learn more about the PRS, visit PrecisionRifleSeries.com. You’ll find a good article on the ModernServiceWeapons.com (MSW) website, that outlines PRS rules, spotlights PRS match venues, and lists recommended gear. READ MSW PRS Article. How did the PRS get started? 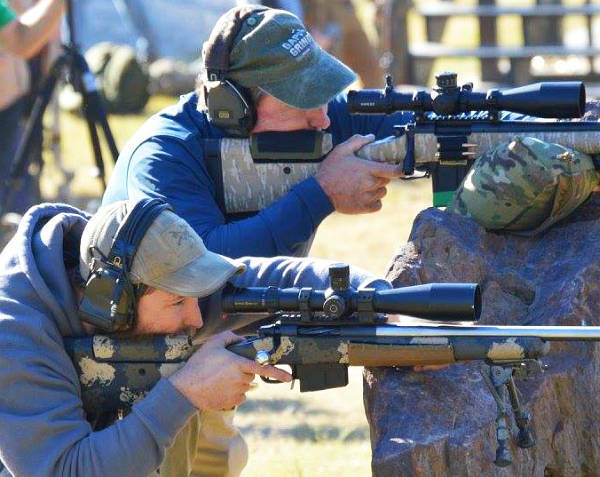 Rich Emmons, PRS President, explains that the concept was to “accumulate ten or so matches and create a point series” that would determine “who was the best [tactical] rifle shooter in the country”. Rich says that: “It’s a points race, but it’s also a big Finale that brings the ‘best of the best’ all together in one ‘monster’ match.” The winner of the 2012 PRS Series was Wade Stuteville, who also took first in the 2012 Finale. Runner-up in the 2012 Series (with a third-place Finale finish) was Team GAP’s Chase Stroud. Jeff Badley of Team GAP finished third in the PRS 2012 Series (and second in the Finale). 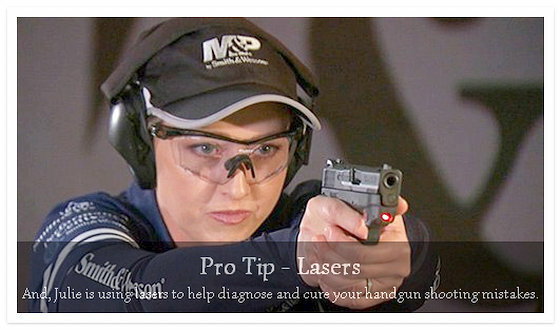 SEE 2012 PRS Pro Shooters Equipment List. 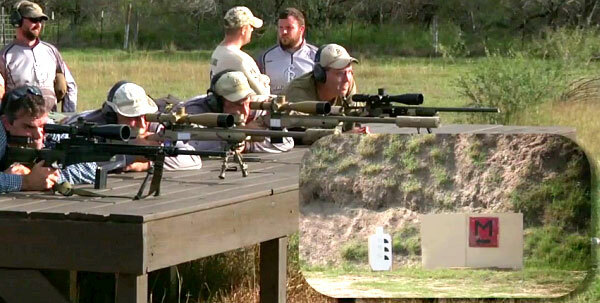 Share the post "Great Video Showcases Precision Rifle Series Season Finale"
The 2011 Snipers’ Hide Cup took place from April 7 to 9 at the Rifles Only facility in Kingsville, Texas. The popular three-day tactical competition, organized by SnipersHide.com, featured a rich prize table with thousands of dollars worth of scopes and tactical gear. 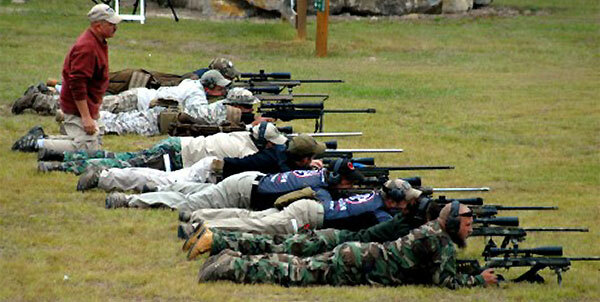 The match drew 63 of the nation’s best tactical marksmen in the civilian, law enforcement and military communities. 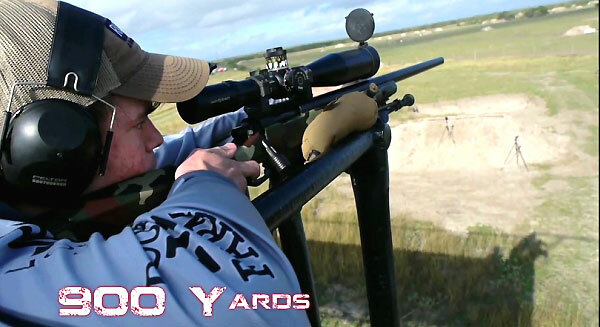 The multi-stage event places competitors in a number of tactical scenarios with shooting out to 1000 yards. The vast majority of the shooting is done with rifles, but there is some pistol action also. This year, the match format involved “a lot of run and gun, positional, and movers”. The wind played a major role this year, exceeding 24 mph on some stages. The overall match winner was Geordie Richardson of Weatherford, TX (via Australia), with a score of 1385/2300. Geordie shot well on nearly every stage, staying in the top three throughout the competition. One fellow competitor remarked: “I was two spots down from [Richardson] and watched the magic happening. 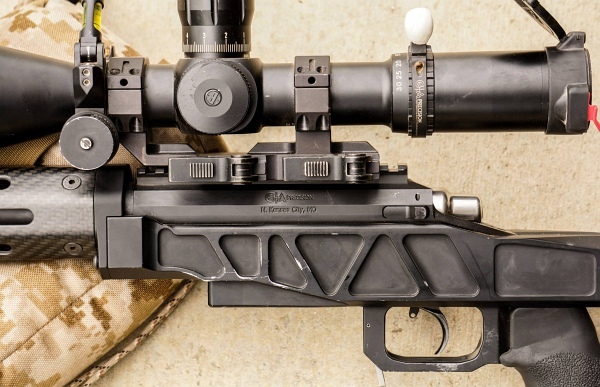 He couldn’t miss.” Geordie’s match-winning rifle was a Surgeon Rifles Scapel chambered in 6.5 Creedmoor in a Sentinel stock with Atlas bipod. On top was a S&B 5-25x56mm with Gen2 XR reticle. 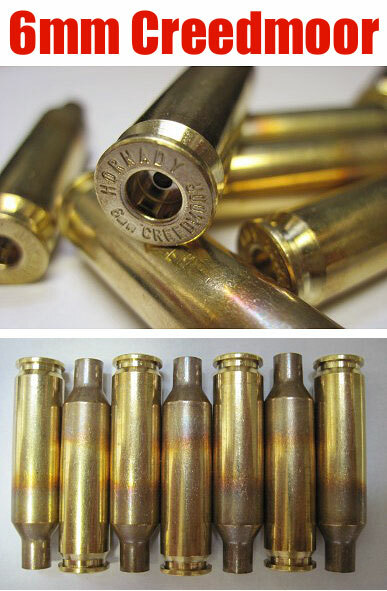 Geordie shot Hornady factory 6.5 Creedmoor ammo, as did runner-up Tate Moots, as well as the fourth place and seventh place finishers. Charles “Tate” Moots (Team FNH) took second place overall with a score of 1305/2300 points. 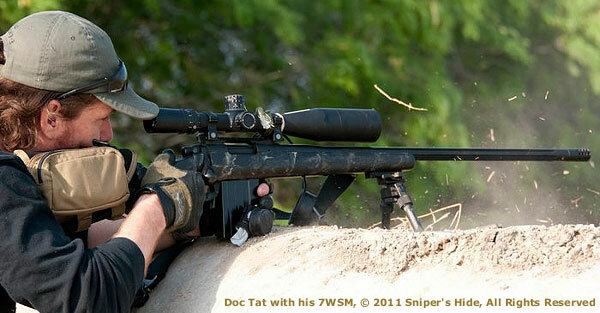 Moots used a FN SPR A5M bolt-action rifle, chambered in 6.5 Creedmoor and topped with a Leupold 6.5×20 ERT scope. Finishing third was John Sommers, fourth was Rob Ormond, and taking fifth was George Gardner of GA Precision. 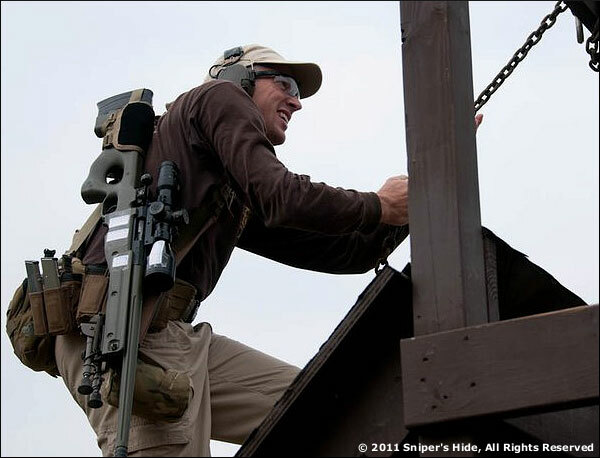 Share the post "Match Report: 2011 Sniper’s Hide Cup in Texas"